In a few weeks the eyes of the world will be on Sochi, Russia. 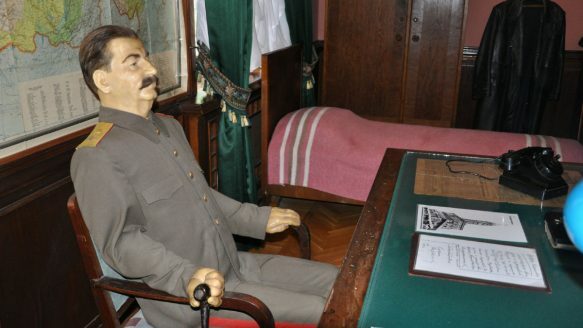 Until now Sochi was probably best known as the summer getaway of Joseph Stalin (still complete with a creepy life-size Stalin!) But when the Olympic flame is lighted on February 7 everyone you talk to will begin the quadrennial tradition of pretending to know about curling, figure skating and doubles luge. Here are five names to drop that will make you stand out. Why you should know him: See that thing he's holding? That's a gold medal from the Vancouver Olympics. It's the first ever won by an American in Nordic combined—an event combining ski jumping and cross-country skiing. Demong will be back to try to get another gold one in Sochi. What's that you say? Skiing up a small mountain sounds like a great afternoon activity after you just spent your morning jumping off an ice cliff? Then Demong is your guy. Why you should know her: Here's a bit of trivia you can drop on your Olympic-obsessed comrades: Edmunds is just 15, which makes her the youngest person competing in Sochi. So there's good news and bad news for her. The good news is she's off to a fast start and should have a long Olympic career ahead of her. The bad news is, that in a country that may have more vodka distilleries than people, she'll be kicking back after a day at the rink with a warm milk. Why you should know him: Along with figure skating, hockey will be the sport you hear about the most. And Ovechkin is one of the best hockey players in the world. But that's not the most important thing about him. The most important thing about him is that he is hilarious. He's also terrible at jingles. Why you should know her: She qualified to skate in Sochi in both the 500 meters and 1,000 meters, but even better her parents are coming to watch her. No big deal, right? Everyone's parents would watch their daughter compete in the Olympics. It's a big deal for Todd's folks, who couldn't afford to go. However, thanks to a little help from the First National Bank of the Internet and this awesome picture of Mama and Papa Todd with some goats, Sugar raised the money and the family will be together in Sochi. Why you should know him: All of your Olympic-watching friends probably thought the story of the Jamaican bobsled team began and ended with Cool Running's Doug E. Doug. Not so. Meet Winston Watts. A veteran of the 2002 Olympics, the 46-year-old is coming out of retirement to take one more shot. And while technically the final field hasn't been announced yet, he's in a great position to feel the rhythm, feel the rhyme and get on up again. It's bobsled time. Take that, you nasty Swiss.